Cruise lines are joining in the Black Friday and Cyber Monday frenzy with discounts and deals good for just a few days. Here are the sales that have crossed our desk so far. Star Clippers launched a “Thanksgiving Flash Sale” with savings of up to 60 percent and a free hotel night on select Western Mediterranean sailings. The deal is good on 2015 cruises by the 170-passenger tall ship Star Flyer. Including the discount and one pre- or post-cruise hotel night, fares start at $1,145 per person, double occupancy. The cruises explore the islands of Mallorca, Menorca, Ibiza, Formentera and Corsica as well as ports along the French Riviera, Costa del Sol and coast of Italy. UPDATE: The offer has been extended through Dec. 8. MSC Cruises is offering discounted rates and up to $200 shipboard credit on select sailings in the Caribbean, Bermuda and Europe when booked through Dec. 1. Rates range from $99 per person for a two-night sailing to $299 for a four-night voyage and $349 per person for a seven-night cruise. Several trans-Atlantic crossings are available as well, including a 20-night Grand Voyage on the MSC Divina departing Miami on April 26 and disembarking in Rome on May 16; rates start at $1,099 per person, an average of $55 per person per night. 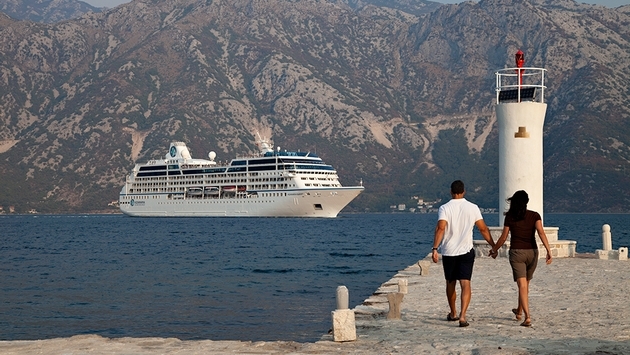 Azamara Club Cruises is giving $500 onboard credit for new bookings on select sailings made Nov. 28 through Dec. 2. Be sure to note the promotion code “AZA CYBER SALE” when making the reservation. The deal is good on a number of voyages, including a 12-night Croatia cruise departing June 23, a nine-night Greek Isle sailing departing July 21, a nine-night cruise of Southern France & Spain departing Nov. 1, and an 11-night Panama Canal New Year’s Voyage departing Dec. 23. 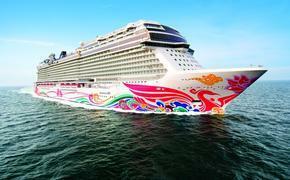 Norwegian Cruise Line is offering shipboard credit of up to $250 to those who book a cruise through Dec. 2. Fares on the company’s newest ship, Norwegian Getaway, start at $509 per person, double occupancy, for a seven-day Eastern Caribbean cruise. Caribbean cruises on the Norwegian Epic, now in its final season from Miami, are priced from $379. Princess Cruises is offering up to 50 percent off short Getaway and weekend cruises and deposits of just $1 on cruises of up to five days. Plus, third and fourth guests can stay in the same stateroom for as little as $50 per person. The “Thanksgiving Cyber Week Sale” runs Nov. 25 through Dec. 4. Getaway cruise deals include four- and five-day Eastern and Western Caribbean voyages from Fort Lauderdale that start at $229 per person for an interior cabin and $349 per person for a balcony previously priced at $699. From Los Angeles, three-day cruises are priced from $179 for an interior stateroom and $299 for balcony accommodations previously priced at $499. Paul Gauguin Cruises is offering a $250-per-person shipboard credit on all 2014 and 2015 sailings booked between Nov. 28 and Dec. 6. The company also is offering 50 percent off standard all-inclusive cruise fares on all 2014 and 2015 voyages, plus included airfare from Los Angeles on French Polynesia cruises on the m/s Paul Gauguin. Windstar Cruises has launched the “Best of the Tropics Sale” offering up to 73 percent savings on voyages to Caribbean, Tahiti and Asia through September 2015 when booked by Dec. 12. Prices start at $1,449 per person on select seven-day Caribbean voyages round-trip from Barbados or St. Maarten. A seven-night Tahiti cruise round-trip from Papeete is priced from $2,499 per person. Royal Caribbean International’s new “Vow to WOW” offer, good through Dec. 31, uses a variety of perks to entice travelers to book, including half off the second passenger in a stateroom, a 50 percent-reduced deposit, and onboard credit of $100 per interior and ocean-view staterooms, $200 for balcony staterooms and $300 for suites. The “Vow to WOW” offer applies to all new U.S. and Canadian individual and named group bookings in all stateroom categories and open sailings, but excludes Quantum of the Seas and Anthem of the Seas and China sailings. Looking for more Black Friday travel deals? We'll be letting you know about even more great scores tomorrow, including a slew of tour and package deals, so keep checking back on TravelPulse.com all day Black Friday for more ways to save.